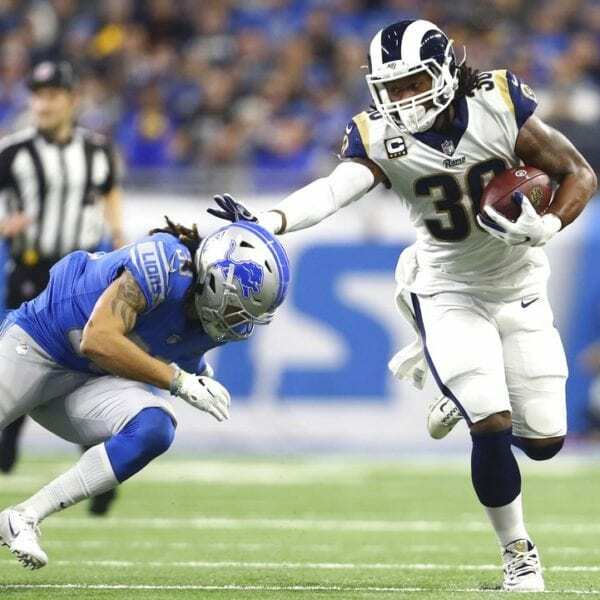 DETROIT (AP) — Todd Gurley ran for 132 yards and two touchdowns to help the Los Angeles Rams overcome a sputtering start to beat the Detroit Lions 30-16 Sunday and clinch the NFC West title for a second straight season. 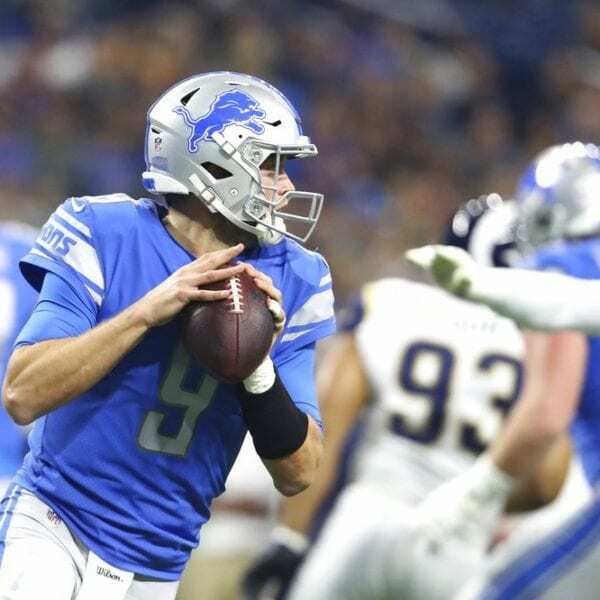 Detroit’s defense held Los Angeles’ high-powered offense in check for three quarters, giving the slumping team a shot to potentially pull off a stunning upset. The Lions, though, failed to make the most of the opportunity because their offense struggled to move the ball and score. 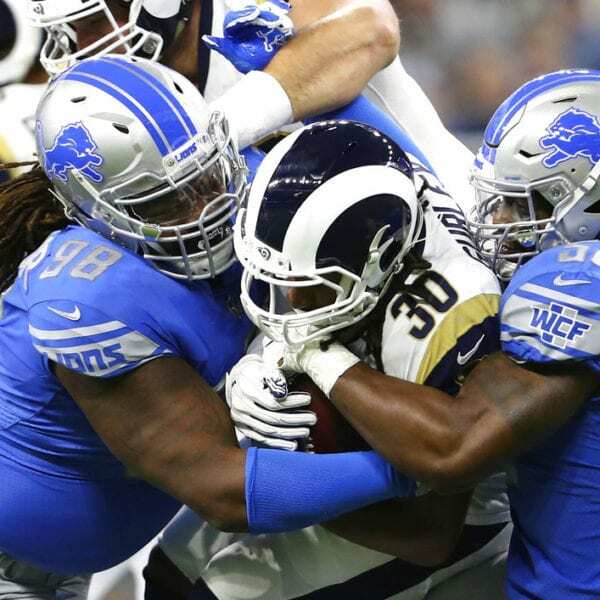 Linebacker Samson Ebukam recovered Stafford’s fumble at the Detroit 24 and Gurley scored on a 13-yard run three snaps later, giving the Rams a 23-13 lead. 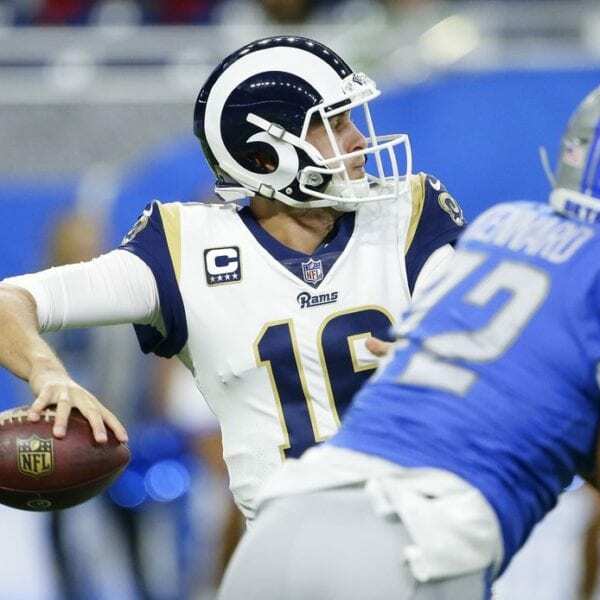 Stafford was 20 of 33 yards for 245 yards with an 11-yard touchdown pass to tackle Taylor Decker, who faked the Rams out by blocking for a moment before releasing into the flat, where he was wide open. Decker’s touchdown pulled Detroit within three points late in the third quarter. 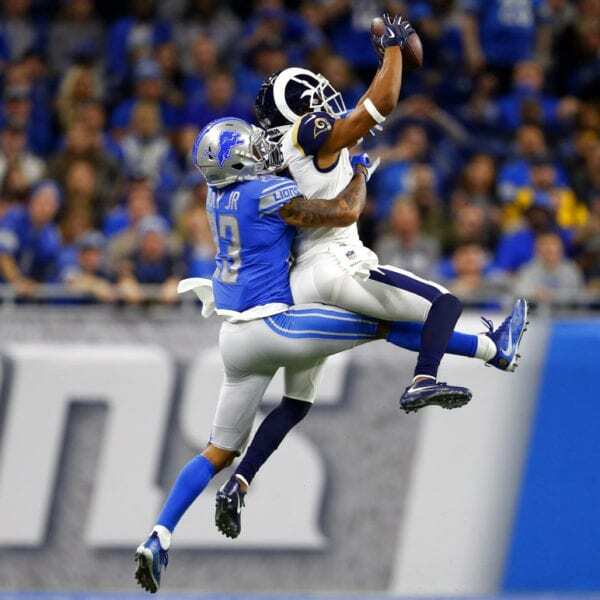 The Lions had a chance to cut the deficit to three again late in the game, but Kenny Golladay couldn’t get both feet in the end zone on a pass from Stafford. They had settle for Matt Prater’s third field goal. The Lions’ final drive that ended with Troy Hill intercepting a pass in the end zone with 12 seconds left. Rams: RB Malcom Brown left with a shoulder injury. CB Aqib Talib played for the first time since going down with an ankle injury in Week 3. 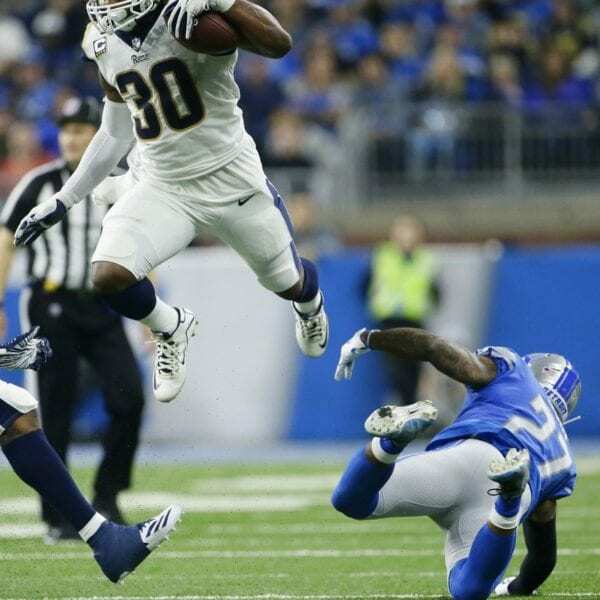 Be the first to comment on "Todd Gurley-Led Rams Beat Lions 30-16, Clinch NFC West Title"